For some crazy reason I have yet to figure out, my local big box stores (Home Depot, Lowes & Menards) do NOT carry shiplap. At least, not the real shiplap with the square rabbeted edges like I wanted. They had plain ol’ pine boards and tongue and groove boards also – but that was not the look I was going for. They would certainly work for some projects, but personally I don’t care for the v-groove look and was after the REAL DEAL. We purchased the shiplap you see above from our local lumber yard! Remember those guys? The ones who were selling lumber, nails, hammers and screws way before the big box stores were even in business? I know, they are not the first ones I usually turn to either. But in this case, they really came through for us and had exactly what I was looking for at a decent price! We live in the midwest, and we purchased ours from Alexander Lumber (you can view their website HERE. ) They had samples on hand for us to look at. They placed the order for us and the boards were delivered in a couple weeks. We paid $0.80/linear ft. for our shiplap. So for instance, a 12 ft. board cost $9.60. 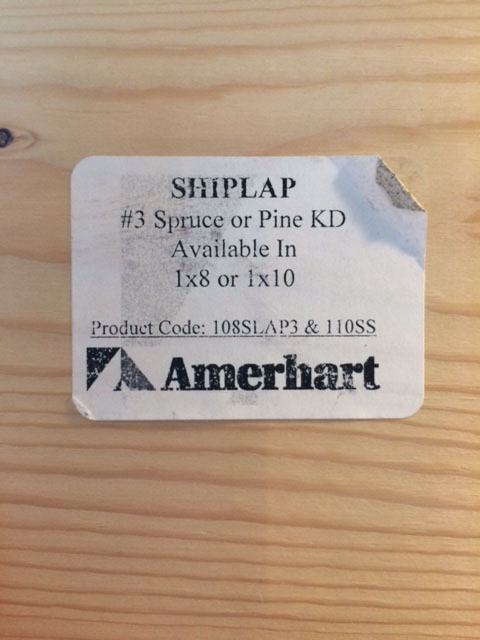 So it is not a cheap way of installing shiplap. But it is the real deal, and I much prefer it over other alternatives and I think it will offer our flip house much needed character for minimal investment. If you’re looking for quicker and cheaper ways of adding shiplap to your home, check out these 15 awesome shiplap tutorials. 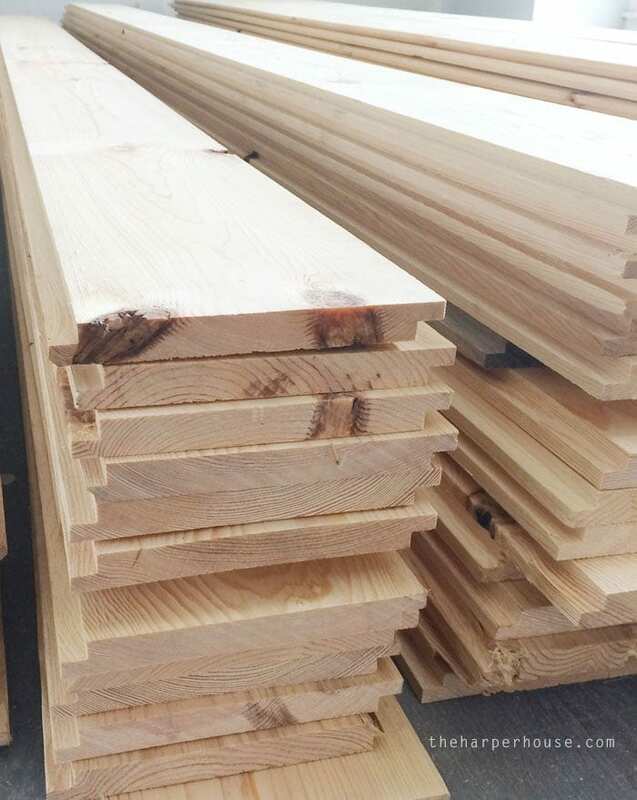 So if you’re wondering where to buy shiplap – just give your local lumber yards a call. 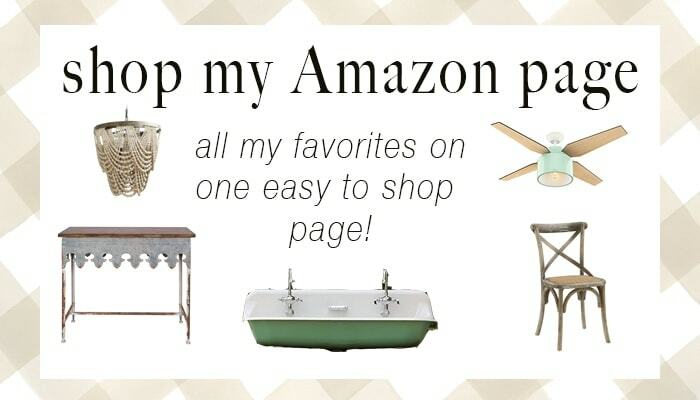 They are super helpful and you’ll be helping out the little guy. 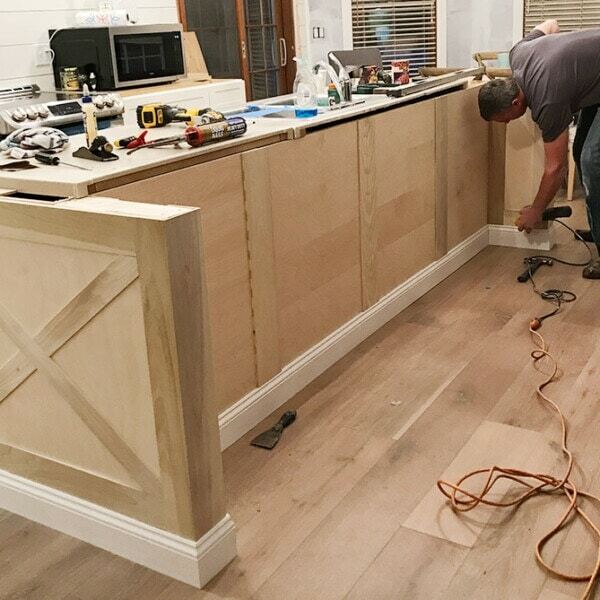 UPDATE | Check out our progress and see how the shiplap looks painted SW Alabaster HERE. And checkout the finished kitchen reveal too! Be sure to follow me on Pinterest and Instagram for more inspiration, ideas, and Mouse House updates! The house looks AMAZING. What primer do you use before painting? And how many coats of each? 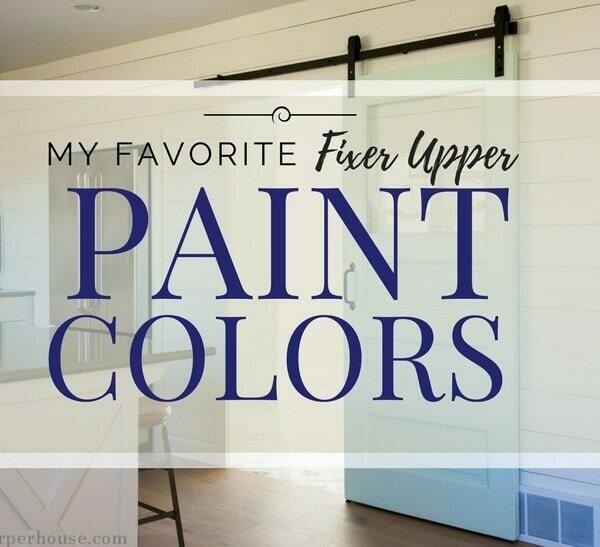 (paint&primer) do you use? thanks so much Syndie! We used Zinsser’s Fast Prime 2 primer and the walls just needed one coat of primer and one coat of paint (Sherwin Williams Promar 400 (eggshell). My husband used our paint sprayer to do both coats – but just use a light hand with the sprayer as you don’t want drips or too thick of a coat to remain in the horizontal grooves between the boards. Hope this helps! Shiplap just came back in stock at Home Depot, I just ordered some, it’s 6″ x 72″. Mine should be shipped to our house soon in MN!! So excited, been looking all spring for this! I just ordered shiplap boards from Home Depot, they are actually back in stock, and should be delivered to our home in MN soon!! So excited! Yes, we got it from Home Depot also. Depending on which you choose it’s a little less there. Although it looks like the equivalent of what you ordered is about $9 per board also. Just reading comments as we try to figure out where to get our Shiplap from. From the looks of it, the Home Depot shiplap linked here isn’t actually the true square edges, right? It appears to have some of the “curve” in them? I’m not sure, Home Depot may be carrying the real stuff finally. You might want to go in the store and check them out for yourself. Good luck! Hi! It looks like you installed with the smooth side exposed. Is that correct? I just purchased some shiplap and after my contractor started installing I noticed he had the rough/almost ribbed side exposed so I had him flip it. Just curious if yours had a rough side and if you exposed the smoother side? Hi Mep – our shiplap was smooth on both sides. If yours had a rough side, I definitely recommend using the smooth side (unless you’re going for a super rustic look!) Good luck with your project! Hi, my husbands concern in our new home build is the trim? How do we add trim with the thickness of the shiplap? Any suggestions or pictures of yours with the trim? Any idea where to get shiplap if local lumber companies don’t carry this type? All 3 local lumber companies have access to shiplap that has a larger gap inbetween or has curved or v shapes. This is NOT easy to come by. We might have to have it custom milled which takes more time and money. Any online sources that might be worthwhile? So sorry to hear that you’re having trouble finding it Lisa. I felt the same way too until I stumbled upon it at our lumber yard. You would think the big box stores would be dying to carry it, since it’s so popular right now! Did you ask for that exact Amerhart brand and product code? I’m surprised they can’t order it in for you. I did find this website to have quite a bit of helpful info – http://www.buffalo-lumber.com/shiplap-siding.htm Good luck! Hi. Did you choose the 1×8 or 1×10? 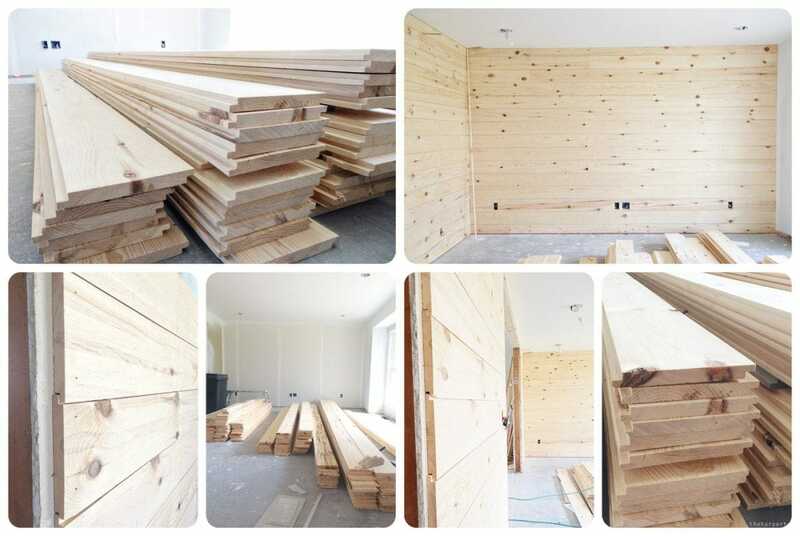 Hi Mallory – we used the 1×8 boards and they were untreated pine. Thanks for reading! Or you can just buy pine boards and route the square groove yourself. Always remember to paint the back side of your shiplap on all exterior walls, as well as use liquid nails to adhere them. Otherwise your going to experience cupping and curling. I always paint the backside with exterior paint that has thermal and vapor barrier in the paint, use biscuits, liquid nails and trim screws to put it up. thanks for that info Melanie. Are you sure it’s the square-edge shiplap and not tongue & groove? I know our stores here in the midwest don’t carry the square rabbeted edge version for some reason 🙁 The other good thing about ordering from your local lumber company is you’re able to get much longer lengths! We are putting it up in our current house and were able to achieve an almost seamless look by using the 16ft long boards. Do you have to paint the back side of the ship lap for the interior walls and what type nails do you use? 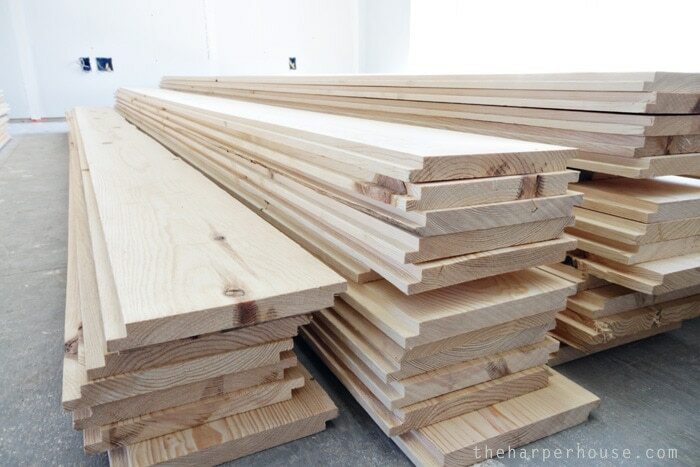 A plain piece of pine run through your table saw with dado blade would be ideal. yep – you could definitely do that too! Actually, Menard’s does carry this wood. It is called “car siding” and is the same as shiplap. Sorry, but did you use the 1X8 or 1X10 size? Thanks. would sooooo appreciate your help! Yes! 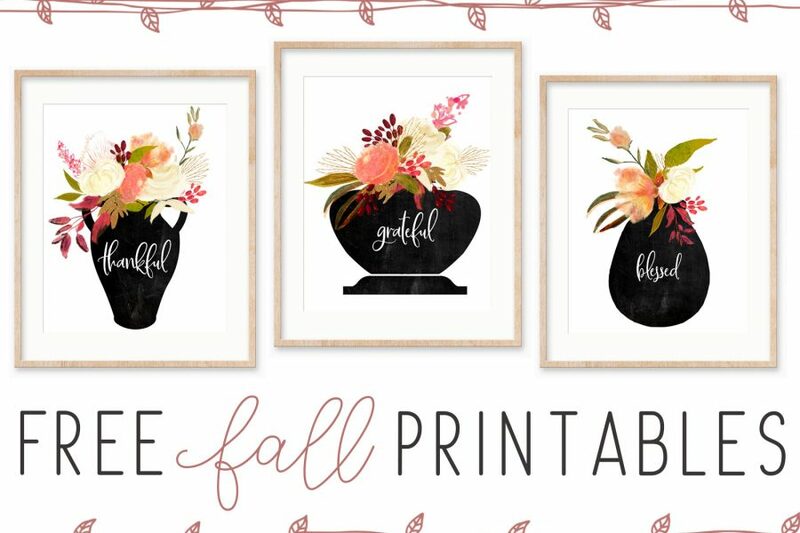 It looks like Home Depot is finally carrying it – better late than never! Although some of the reviews said a lot of the boards were warped, so just make sure to check them all and return any unusable wood 🙂 Good luck with your project! This turned out so great! I was really hoping you could help me…our contractor just installed shiplap in our boys’ room which was then painted white and it turned out horribly! It’s a rough surface and so in many spots the paint caught and it looks like dark smudges 🙁 There are even holes in it. 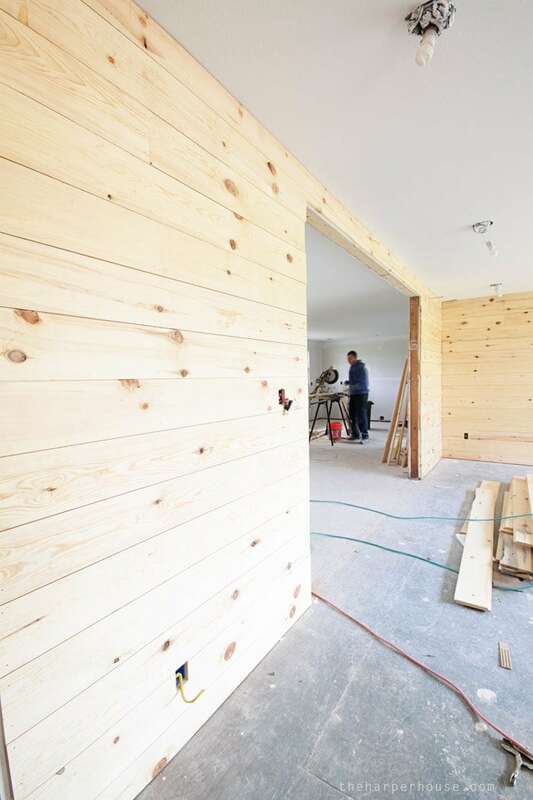 I called the lumber company and they acted like I was crazy for expecting shiplap to be smooth but I’ve literally never seen shiplap look like this…do you have any idea why our shiplap might have come out this way? It’s such a disappointment and now I have to have it ripped down and redone, but I’m not even sure what to use. Would be so so grateful for any help! Thanks! Wow, I’m so sorry you’ve had such a bad experience with your shiplap 🙁 Definitely not fun! I’m wondering what kind of wood your contractor used for the shiplap? Was it pine? (we used pine) If so, pine is a smooth surface so it should have rough patches. It does, however, have knots and holes. My hubby filled most all our holes with wood putty prior to sanding & painting. Is it possible they used cedar shiplap? Cedar would have a rougher texture to it, so not ideal for shiplap. Did your shiplap have 2 different surfaces on each side (a smooth surface on one side and a rough surface on the other side?) I have seen it come like that. Regardless, don’t let the lumber company condescend your wishes! You are not crazy at all for thinking that is should be smooth – who wants a million splinters on the wall of your boy’s room? 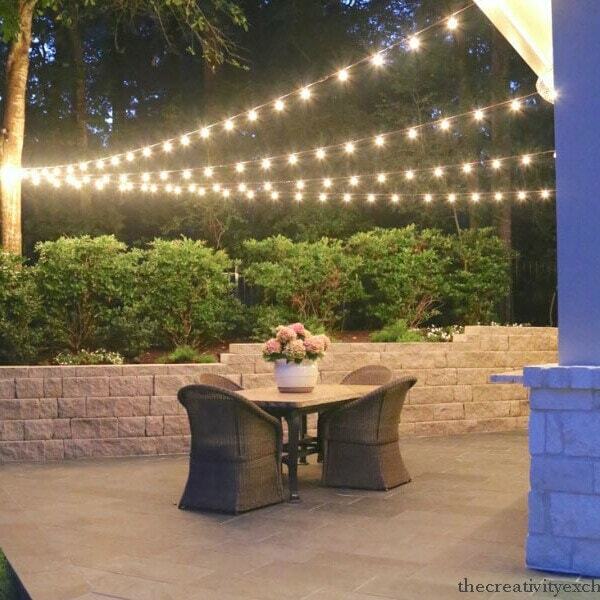 Stand your ground with your contractor and have them fix it to your satisfaction. You are the customer and it is their job to make you happy. And don’t pay them until they make it right! Good luck! When I did my shiplap walls, I would up sanding them down with a fine grit sandpaper to smooth them out a bit. For larger holes and dings, I just used wood putty (Thank you for the tip on using auto body filler!). Overall, they turned out very nice after installing and painting them. Hope that helps! 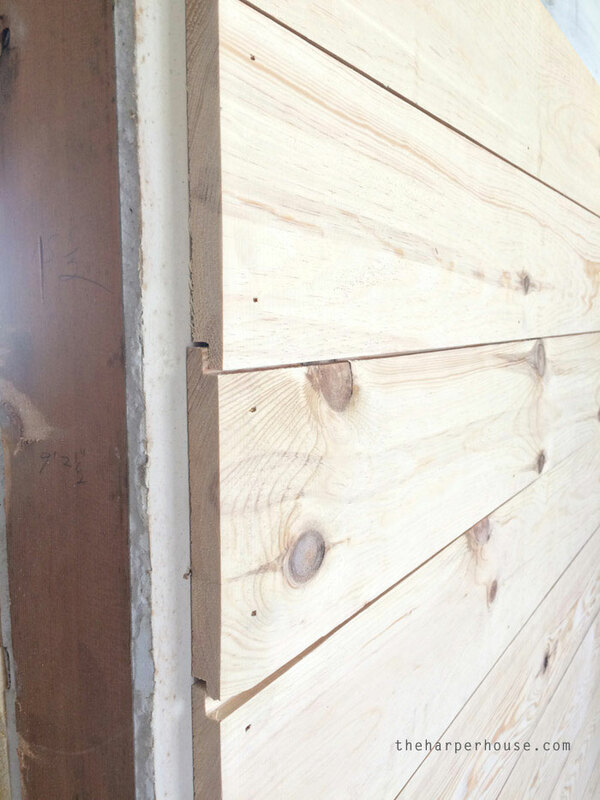 One more question… does your shiplap have the “nickel gap” in it that I’ve read about in some of the above links? Oh wow – this lumbar place is a few towns away. Thank you! HI, JUST AN FYI, LOWE’S IN COOKEVILLE, TENNESSEE ACTUALLY STOCKS SHIPLAP IN TWO WIDTHS… WE ALSO SPEND TIME IN LAS VEGAS, NEVAVDA AND LOWE’S DOES NOT HAVE IT.. YOU HAVE TO SPECIAL ORDER IT…. I GUESS THEY STOCK IT WHERE IT IS COMMON… NOT SURE…. We have an unfinished basement. We are thinking of adding shiplap. 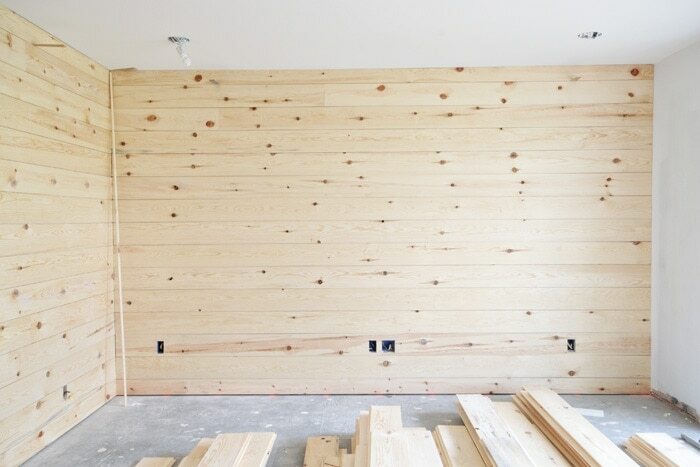 If you use shiplap, do you have to put Sheetrock up first? Right now we just have the insulation with plastic over the insulation. I have heard that you don’t put up Sheetrock, but rather just the shiplap right to the studs. If there’s a gap, doesn’t it show the insulation? It just seems like it would not be finished feeling without having Sheetrock up first, but at the same time, if you have to do both, that would get spendy. Also, our unfinished basement is about 1700 SF. Do you think doing the whole thing shiplap would be overkill. If so, do I do it in just one room and maybe the ceiling in the other rooms, using shiplap, so it s the shiplap walls together in the one room? So many decisions. . Thanks for this great blog. Wow you answered a ton of my questions already that I was wondering. 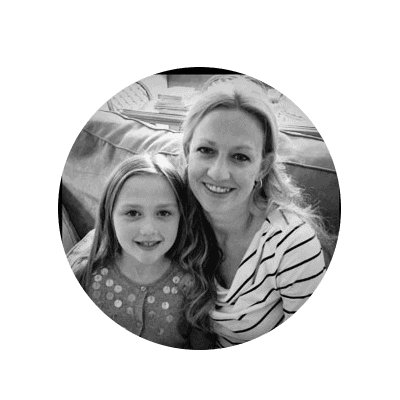 Hi Shawna, you have some great questions! First of all, I would make sure your basement is 100% dry before installing shiplap anywhere. Some basements in my area are damp and prone to water seepage and you definitely don’t want water mixing with your brand new shiplap, lol! Personally, I would install sheetrock (drywall) on any exterior walls just to give you a tighter seal and better insulation. Then you can install your shiplap over that (this is what we did in Mouse House.) On interior walls, it’s not as necessary to have drywall first. If you use real shiplap (with the the rabetted square edges) those edges overlap each other and you will not see anything behind them. If you’re worried about cost, I think several feature walls would look great. 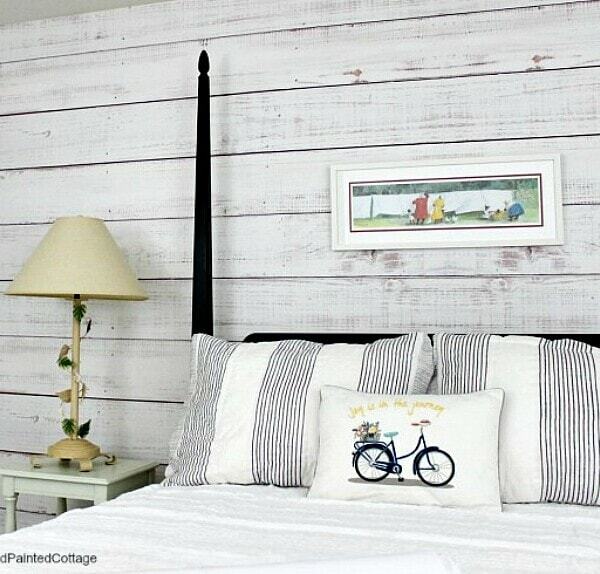 Just choose where you want your focal points to be and maybe install shiplap on those few walls. I don’t think you need it on every wall. You could also use it more like a wainscoting and install shiplap 3/4 of the way up the wall and paint (or even wallpaper) the remaining top portion. There’s so many ways you can do it. Good luck and thanks for reading! You said you used SW Alabaster. What finish was that ? Can you use a paintvwith primer in it? The finish we used was eggshell (between flat & satin). I personally don’t like the paint with primer already added, but I’m sure you could use it if you wanted to. Just grab a sample first to make sure you like it. Thanks for reading, Judy! Do you stagger your shiplap pieces? It’s hard to tell in the pics but they do not look staggered?? We tried to use the longer boards so we wouldn’t have too many vertical seams. But if you use shorter lengths, then I would definitely recommend staggering your pieces.